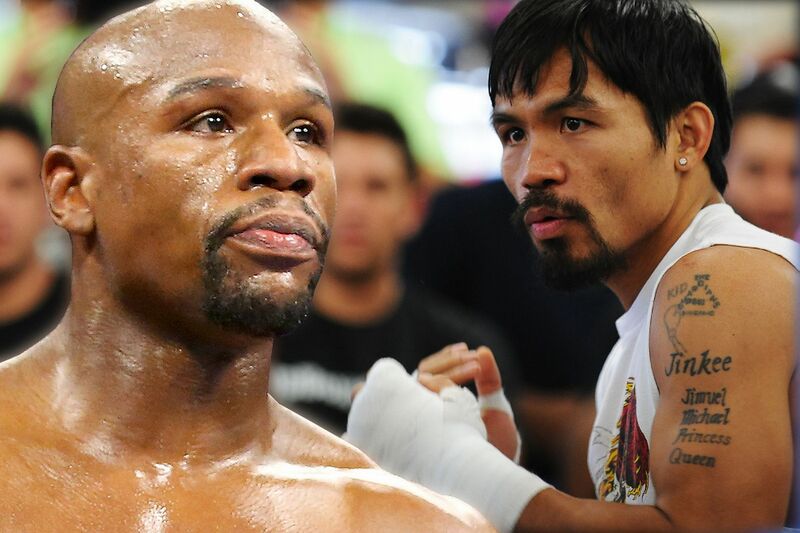 Manny Pacquiao 61-7-2 (39) has admitted he doesn’t know if there is a realistic chance of his coveted rematch with Floyd Mayweather Jr 50-0 (27) ever happening. The Filipino icon is on a two-fight win streak after dropping a 12-round unanimous decision to Jeff Horn 19-1-1 (13) in the Australian’s hometown of Brisbane in July 2017. Pacquiao, 40, was vocal about his desire to face Mayweather again – who defeated him by comfortable points decision in May 2015 – in the lead-up to his win over Adrien Broner in January but now says he isn’t holding his breath for that fight to happen. “I don’t know anymore,” Pacquiao said to the Inquirer.net. Pacquiao has told his new promoter Premier Boxing Champions (PBC) that he wants to return to the ring in either May or July. PBC CEO Al Haymon has been a longtime advisor to Mayweather. “I still have one more fight with them,” Pacquiao said. Mayweather fought just once more after defeating Pacquiao in 2015 – a unanimous decision win over former welterweight titleholder Andre Berto – before retiring for two years only to return in August 2017 for a big-money fight against UFC star Conor McGregor which he won by TKO 10. It was just his second knockout in almost a decade. Last New Year’s Eve the 41-year-old undefeated American returned to the ring in Japan to fight a three-round exhibition bout against 20-year-old kickboxer Tenshin Nasukawa, knocking him out unceremoniously in the first frame. Other names in the welterweight division that Pacquiao could face includes WBA champion Keith Thurman 29-0 (22) and WBC champion Shawn ‘Showtime’ Porter 29-2-1 (17). Both are part of the PBC roster. “It depends; both are with PBC. But you know me, I don’t pick my opponents. As long as they’re boxers,” said Pacquiao. One name that Pacquiao insists he won’t be facing is Horn, who is coming off a first round knockout of compatriot Anthony Mundine in a catchweight bout in November. “I was willing to do a rematch with them but they didn’t want to. And now that I am back on top and they are coming off a loss, they are asking for a rematch. No way,” Pacquiao said to the Manila Bulletin.